The first PIGSTY restaurant, brought to you by the three brothers behind The Jolly Hog and Will Collier, current Harlequins rugby player, will open on Friday, October 21st. The Jolly Hog is a Bristol-based, family-run business “in pursuit of creating the perfect range of porky treats”. With years of experience in hog roasting and sausage making behind them, an endorsement from Michel Roux Jnr. and thousands of satisfied customers along the way, launching their own restaurant in Bristol was naturally the next step. PIGSTY will first open its doors on Friday 21st October 2016 in the exciting new Cargo development at Wapping Wharf. The team will be serving breakfast, lunch and dinner with a focus on great tasting local produce, and a menu that will open your eyes to the delights of all things porky! 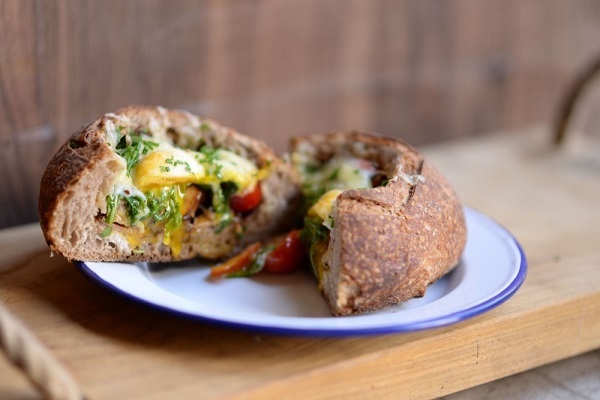 Jolly Hog sausages and bacon with melted cheese, cherry tomatoes and rocket, topped with a fried egg and encased in a sourdough loaf. Triple the pig! 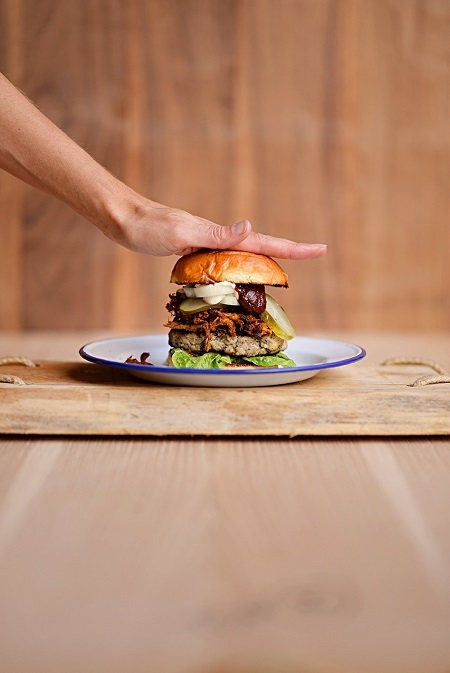 Handmade Jolly Hog pork patty, slow cooked pulled pork and bacon jam mayo, topped off with fresh salad and pickles. All of PIGSTY’s pork is British, and RSPCA assured. PIGSTY was founded by former rugby player Olly Kohn and his equally pork-mad brothers Max and Josh. The business was started by Olly at home with his sausage making machine, and has been growing steadily for the last 8 years. Initially the team cooked and sold pitch-side at Harlequins games, but their sausages and bacon are now available nationwide in Sainsbury’s stores, Ocado and pitch-side at Jolly Hog food villages at The Oval, Tough Mudder, Glastonbury and The Stoop, Twickenham. Find out more on the PIGSTY website, and on Twitter at @pigstyuk.